First i hate to name this has Appam. we call it as ஆப்பம்(aappam), in english it may be read / means burp. so without heart i call it appam now! My great grand mom used to make appam with coconut toddy (kallu) for us. 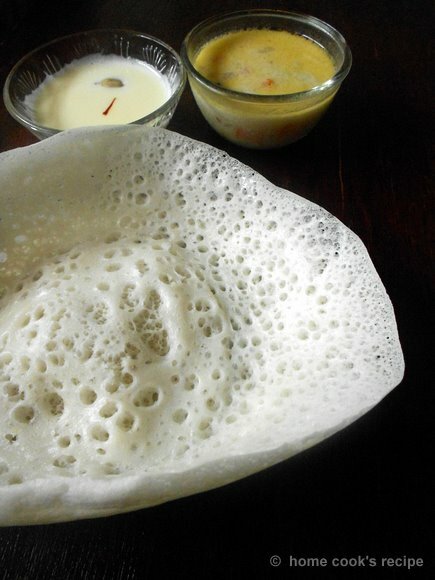 the flavor and taste of those appam is just unbeatable. forget the drowsiness after eating appam. and just for the drowsiness, we kids won't be fed appam on school days!! This is the recent poriyal craze going on at home. 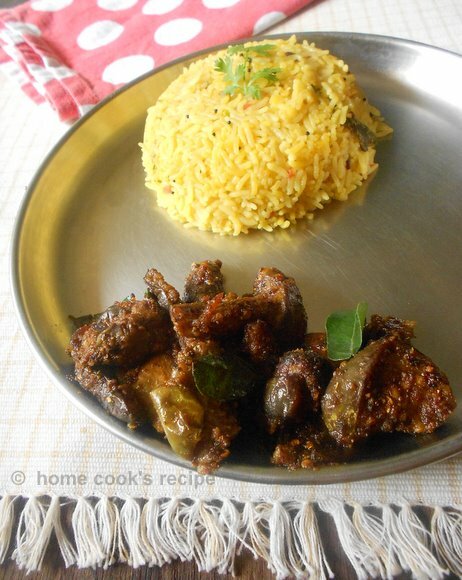 just love this kathirikai podi curry, as it goes well with rasam or sambhar or any variety rice. its simple and easy to prepare. Me and hubby love pesarattu. whenever we eat out at a andhra hotel, we order this. I love to prepare pesarattu on weekends as it involves less job and extra credits goes for this healthy break-fast. 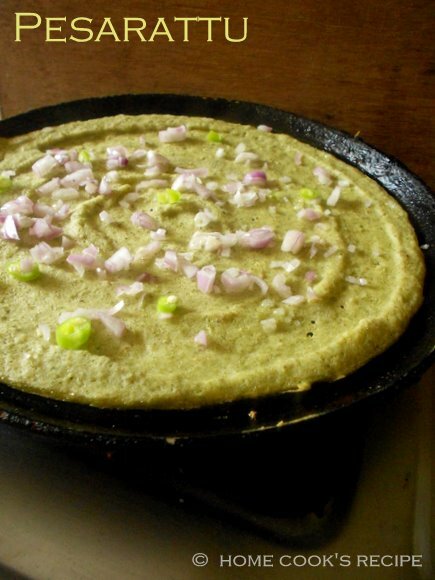 when you have little of last batch of the dosa batter, mix it along with pesarattu batter. that yields good dosa's. Tandoori idly, I have eaten this idly more than dozen times. i have seen it in menu's only in pondicherry hotels. right from my childhood, it is my favorite dish. 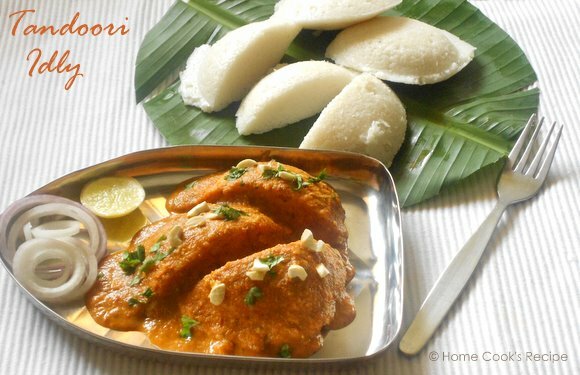 though I wanted to share the recipe for tandoori idly years back, the time came just today. 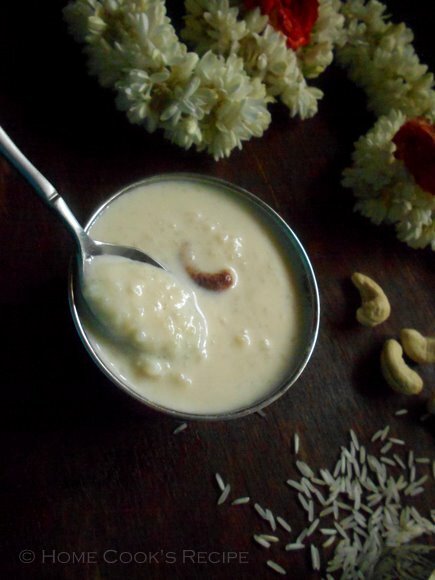 Rice payasam also known as paal payasam or milk kheer is made with milk and basmati rice as main ingredients. Slow cooking the rice along with milk and sugar for about 1 hour is the traditional way of making the payasam. I was desperate in using the condensed milk, which i had sitting in my fridge. adding condensed milk gave a tasty, thick consistency payasam quickly.